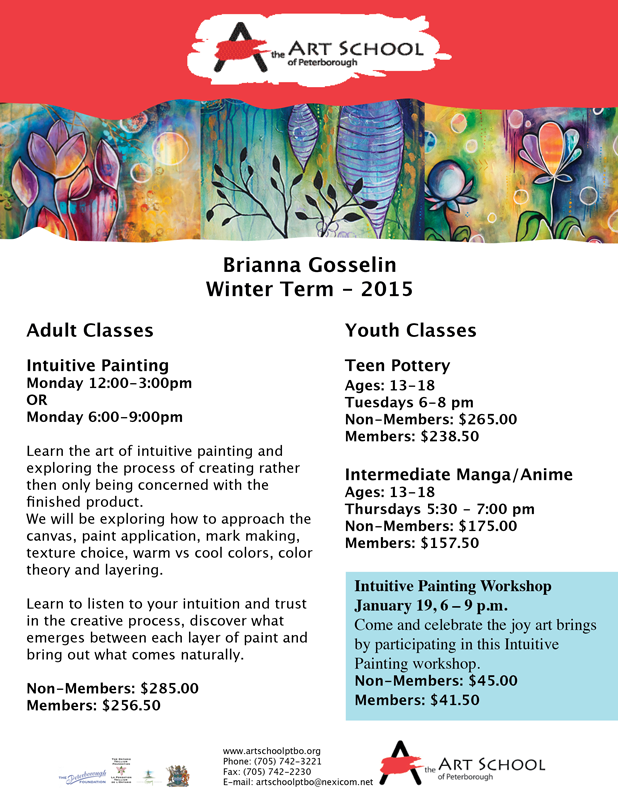 In addition to offering private lessons at the Studio, Brianna is an art instructor with the Art School of Peterborough. She offers a variety of classes for both teens and adults for the duration of 10 weeks. For a list of courses and descriptions, please take a look below. Registration can be done online through the links provided and are completed through the Art School of Peterborough’s website. This pottery class is geared to older youths and teens. The course will focus on experimentation and expression of individuality while working with clay. Teens will do plenty of wheel work and hand building, working on age appropriate projects, in an atmosphere of like minded peers. (includes clay, glazing and firing). Create your own manga and learn how to draw anime. Learn the proper proportions when it comes to designing anime/manga characters, gain understanding of facial expressions and body language. Proper story line and character development will be explored along with the culture that influences manga.